Atempo announces their presence at the NAB Show 2019 in Las Vegas. 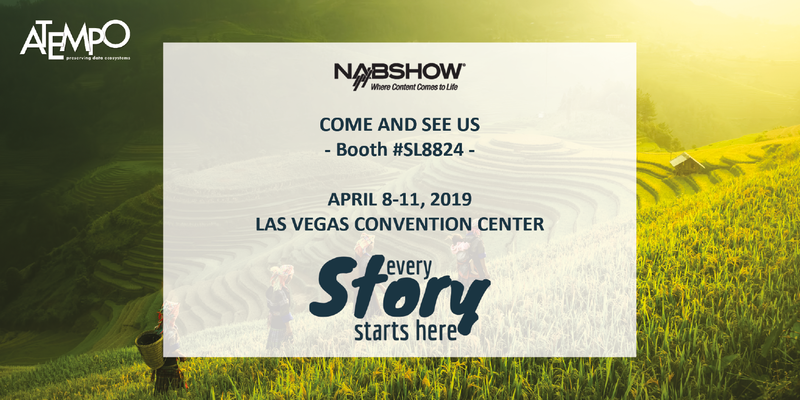 NAB, the professional show for new broadcast and media technologies, takes place from 8th to 11th April 2019 in the Las Vegas Convention Center. “Le Labo” in Paris chose Atempo to store and share large data volumes between many film and TV editing workstations. For this, Le Labo uses Atempo Digital Archive on a daily basis.